Throughout Canada, there are many beautiful, living vegetated roofs dotting urban landscapes that require care. Creating these green roofs is not only an esthetic choice, but also a major maintenance commitment. 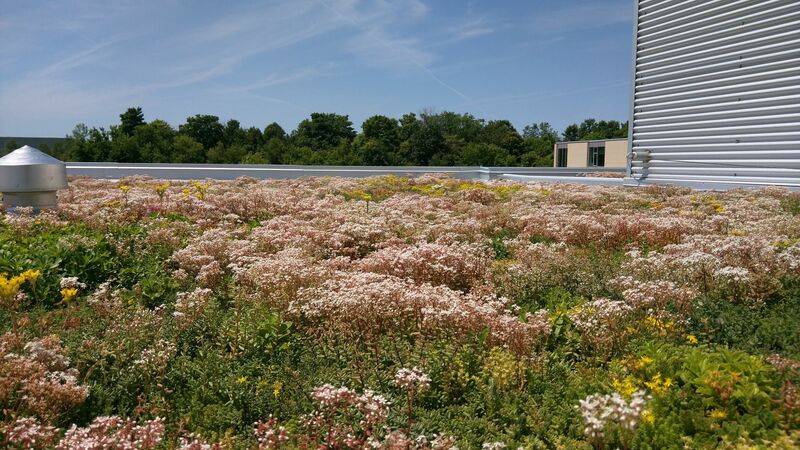 Some municipalities and cities, such as Toronto, require rooftop maintenance plans in order to obtain a vegetated roof permit, and some cities even require rooftop inspections twice a year. Many green roof system warranties are tied to performing maintenance and filing reports. Reports should include health of plants, recent weather conditions, and inspection check list of what was found and what was done. Ultimately, maintenance keeps vegetated roofs alive, looking well and performing as they should. The extent of maintenance depends on design, plant selection, depth of growing medium, the roof’s exposure, and weather. While it is hard to predict weather, a designer can opt for a system with low-maintenance features to reduce overall labour and cost. Locally grown, hardy, and drought-tolerant plants such as sedum and moss are ideal for rooftop designs. Maintenance personnel should be familiar with green roof plants and the owner’s green roof esthetic preferences, as some ‘weeds’ might be tolerated. Access to water with adequate pressure for supplemental irrigation during the establishment phase and drought periods is critical. Irrigation options range from hose and sprinkler to more sophisticated permanent irrigation systems. An annual application of slow-release fertilizer, usually in spring, helps feed plants nutrients over a three-to-nine-month period. Care must be taken to avoid a nutrient supply on plants preparing to go into dormancy in the fall season.